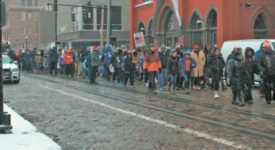 CINCINNATI, OH. 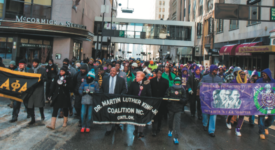 (March 29, 2019) – The National Underground Railroad Freedom Center announced We Who Believe in Freedom, today. The exhibit will be in the Skirball Gallery and open to the public on Saturday, April 6 through Friday, July 12 during regular museum hours. 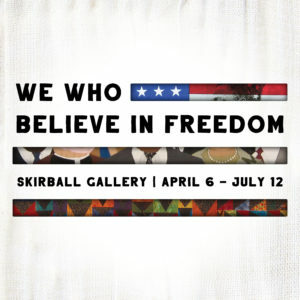 We Who Believe in Freedom is curated by Historian, Author, Lecturer and Artist, Dr. Carolyn Mazloomi, who is also the founder of the Women of Color Quilters Network. We Who Believe in Freedom offers skill and aesthetic beauty of detailed imagery of the African American experience – using the quilt. 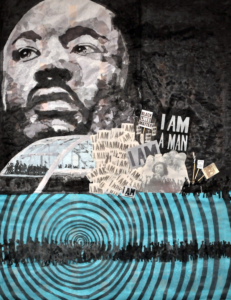 Through artistic expression utilizing the canvas of quilts, the artists of Women of Color Quilters Network have produced works reflecting social commentary on the civil rights movement and issues of race in America. The images are symbols of liberation, resistance and empowerment, layered with memories and meanings. Mazloomi was initially trained as an aerospace engineer and later sought to bring the many unrecognized contributions of African American quilt artists to the attention of the American people as well as the international art communities. In 1985, Mazloomi founded the Women of Color Quilters Network which is a non – profit organization that consists of 1700 members, and foster and preserves the art of quilt making and fiber art among women of color. Mazloomi’s pictorial narrative quilts make plain of personal themes including family life, women’s rights, political freedom, and musical legacy. Tickets are $5 with general admission and free for members. 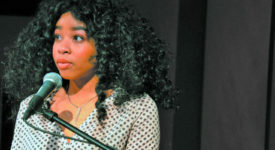 For more information, visit freedomcenter.org.